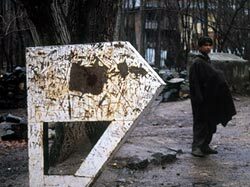 As an economy, reviving Kashmir is not a difficult proposition. The new government, instead of exploring the more difficult option of sourcing resources from outside, has to look inwards. It has to bring about a basic change in the state's policy: from that of dependence to self-dependence. While the government -- to its credit -- is making an effort to harness the state's resources (vis--vis the new power policy and forest policy), what is also imperative is a simultaneous revival of governance. For a population without any sense of governance and economy for 15 years, this might look like an uphill task. Says Srinagar-based economist A H Madhosh, who has studied the psychological impact of militancy: "The greatest challenge is to make the people interested in the government." For that, people have to be involved in the governance process. And to attain that, the government has to address issues that affect them the most - such as the state's ecology-economy. An institution that needs to be revived and restructured immediately is the panchayat. Balraj Puri believes "devolution of power (to panchayats) is crucial to address problems of environment". The state's geography and climate is such that its major three regions remain cut off from each other for almost five months a year. Which means, effective local governance is critical to keep the economy oiled and running. In an effort to reach areas cut off due to militancy, the government is considering a plan to devolve power to the panchayats. Currently, the state has its own system of self-government called the halqa panchayat, but it does not have an adequately representative character; neither does it facilitate direct elections to its upper tiers. Inspired by the turnout in the assembly elections, the Union rural development ministry is also aiming to extend the 73rd amendment to the state. In 1951, the Sheikh Abdullah government's New Kashmir Manifesto had clearly identified the economic-ecological potential of the state. It had also argued for economic devolution and for involving the panchayats in economic activities. The landmark document was, however, abandoned in favour of a policy of ad-hocism. The state needs to avoid this pitfall. The good news is that the public mood is upbeat. Will j&k's chief environmental officer live up to his people and their expectations?